Get Instant Access to our Brand New On-Demand Online Workshops FREE! Most people live the life they think they have to live. They are unfulfilled, overworked, stressed and stuck in a system that exploits them instead of helping them achieve their highest potential. They get the education they think they need, to get the job society says they should want. Unfortunately, most lack the life skills required to be self-made and self-reliant. Our vision is to wake up millions of people to realize the tremendous potential that lies within themselves. And further, to show them how to harness and leverage this potential in the new, digital economy. 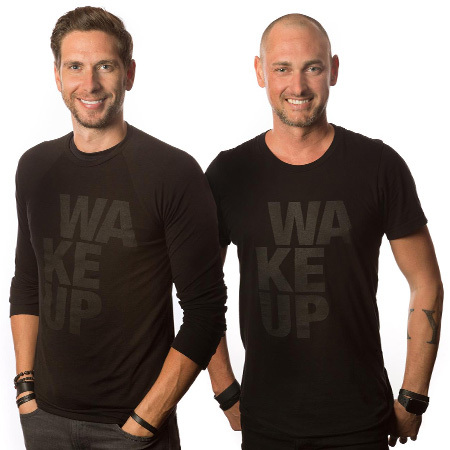 Jay and Stuart each started their own respective online businesses with little money from scratch, and went on to build multi million dollar companies before joining forces. They credit their success to great mentors who guided them to where they are today. Because they understand how tough things can get on your own with big dreams, they’re passionate about helping others find the same success and mentorship they feel blessed with. Come and meet the community!